ISO 9001:2015 is an international standard describing the aspects of a company's quality management system that will ensure the products or services provided are of consistently high quality. It describes how the principles of meticulous monitoring of individual activities and processes within an organisation should be implemented by means of compliance with documentation supervision processes, resource management and systematic measurements of customer satisfaction and quality. Mutually beneficial relations with suppliers. We began the implementation of our quality management system in September 2007 and gradually introduced further processes in order to meet the requirements of the ISO 9001 standard. Implementation of a system fully compliant with the standard led to certification following an audit on 16 June 2008. 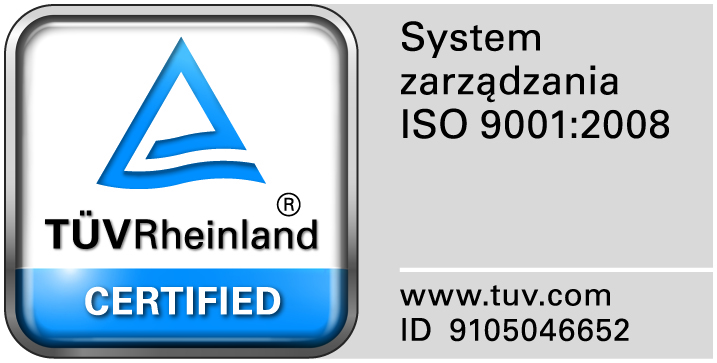 The Registration Audit of the management system was conducted by an auditing unit of TÜV Rheinland (PCA accreditation). This is an internationally recognised independent institution which has specialised in certification of products and management systems for over 100 years. Keeping the certificate demonstrates the efforts we make to ensure our translations services are consistently high quality, always meet our clients' requirements and needs and are carried out in accordance with the generally accepted standards of the translation market.